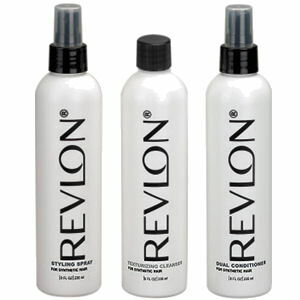 adds shine to synthetic hair. This used to be called Styling Spray but a flammable ingredient had to be removed to conform with air shipping guidlines. Hence the rename to Finishing spray. Still works very well.